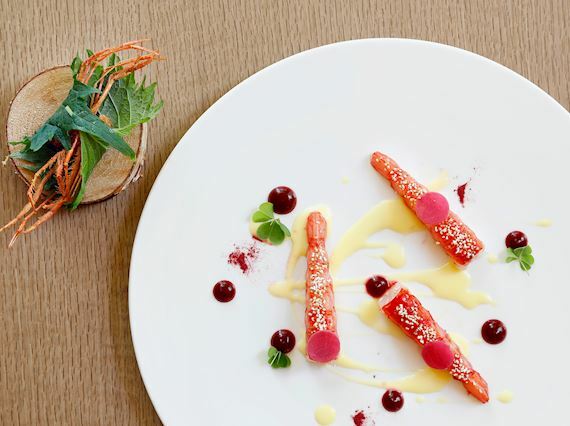 with champagne rosé "Comte De Montaigne"
Rapid cooking, local products and attention to the raw materials are the protagonists of our new dishes, always putting the recognition and simplicity of every single ingredient at the first place. An Italian cuisine with a modern approach, guided by a young and dynamic brigade, united by the passion for cooking, with a Michelin-starred background. A suggestive location with a convivial yet intimate atmosphere, and the attention to the smallest details to make you feel at home.